Hans Born Consulting was founded in 2001 with one core belief; that the main difference between successful companies/organizations and those that never gain the competitive advantage, lies simply and solely with how well they are able to execute. It's rarely the idea that separates winner from loser in the world of business; rather it's the winner's ability to follow through on their vision. This is the same with your product, platform, new customer, or new initiative. The "thing" that will separate you from your competition is whether or not you are able to execute on your vision and deliver for your customer and beneficiary. 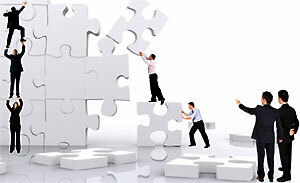 Therefore HBC specializes in, and our core business is, Project Management. We do not and will not derail from this competence because as soon as you contact us, our only business is getting your vision from idea to reality. Through professional business and project consulting. Contact us now! This is one of the founding principles of HBC and it serves two key purposes: with us you get access to more then ten years of professional project management experience and you gain a partner that will hold himself accountable for your success. Hans Born Consulting provides professional project management and consulting services that lead to results. We provide expert advice on everything related to your project management need. Because we focus exclusively on Project Management, our incentives are exactly aligned with yours. Our goal is yours: the successful definition and implementation of your project. Complex projects - that's our middle name. We adapt to your needs but we will lead you steadily on your path to success. We mean serious business. That's why you can depend on us. We know what reliability means: On time. On target. Your success is our core competence. Our expertise lies in both domains: the for-profit companies as well as the NGO sector. Both are equally demanding and both are treated with the same seriousness.